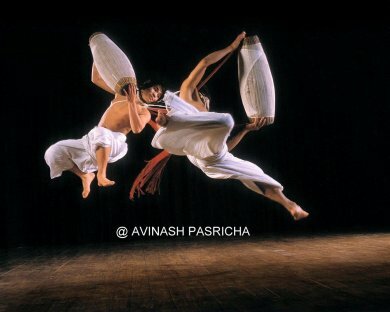 Avinash Pasricha needs no introduction to the Art world as he is one of the pioneers when it comes to dance photography. 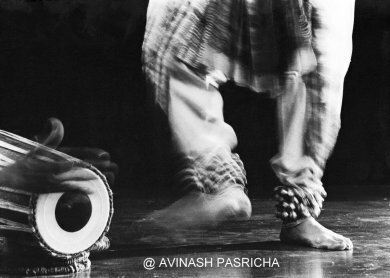 He has the unique distinction and honour of photographing almost all the eminent musicians and dancers of his time. 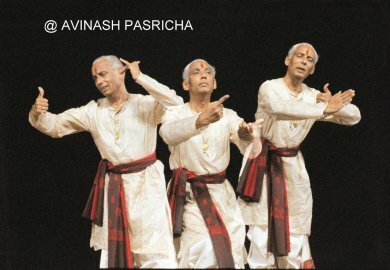 His rich contribution to the world of art in the form of collaborative work with dancers, scholars, critics showcasing the splendor and depth of our art form to the world at large through the lens is well appreciated and admired. Avinash is himself a subject of great interest what with an enviable collection of close to a staggering three lakh images of the performing artists of India in his repertoire and not to forget his unmatched experience of covering the art world from close quarters at its best for more than five decades. Avinash patiently answers a few questions and shares in abundance his enthusiasm for the subject of art in general and dance in particular. Being a pioneer dance photographer, can you throw some light on how it all began? My father managed a photo studio in Connaught Place since 1930 and then opened his own studio on Janpath, New Delhi, in 1938 where I grew up watching him do studio portraits in a very meticulous fashion. But at that time, sitting at his desk and attending customers in English was more enjoyable and I planned to work with him and his partner more as a businessman than as a photographer. But destiny had a different role marked out for me. I joined USIS, American Embassy as a Photo Lab Assistant in 1957 to learn darkroom work since I was unlikely to learn the same in my father's studio. It was followed with SPAN magazine coming along the way and I became its Photo Editor in 1960 (where I worked till 1997). God had better plans for me than I had for myself. I should say it was by chance, that a cousin of mine took me to cover a four day art festival at Sapru House, New Delhi, way back in 1966. I was then experimenting with a special developer that could push process a 400ASA film to 1200ASA which would enable to capture stage light mood without the use of flash. Prior to that, I had photographed the famous dancer Indrani Rehman for SPAN magazine with flash and it was a good experience. This festival called Vishnu Digambar Jayanthi being organized by Gandharva Maha Vidyalaya group naturally saw their daughter Madhavi Mudgal dance and the photos I had taken without flash came out really good. I not only stopped using flash to capture 'mood' but it motivated me to photograph music and then to the more visual subject - dance. Thus my journey as a photographer of arts – both music and dance - began in a quiet way but gradually became an integral part of my life. I should add here that dance is a better subject to photograph than music in the sense that the photo opportunities in capturing music requires one to patiently wait for the gesture of the performer or the mood of the society, but in dance there is so much happening on the stage all the time to be photographed. Looking back, I guess it was a natural progression of my moving over from shooting music to the more challenging subject - dance photography. My basic photography, especially as a profession took shape with becoming the photo editor of Span magazine. The many journeys undertaken through the length and the breadth of the country looking for shooting projects for the magazine in a way enabled me to learn more about photography on my own. Since there was no course or not much organized teaching available at that time, it was more of an approach / attitude of learning in my profession. The initial exposure that I had in my father’s studio where I used to take the portraits, retouch the large negatives and finish the final portraits and just watching him work so very meticulously was quite an experience which I now realize got ingrained in me. You learn a lot by looking from close quarters at somebody working and then partly by your learning curve out of your own experience and mistakes! Further, keen observation of the works of other photographers and self introspection aids in improving your work and also enables in being yourself. One cannot be an every kind of a photographer since the demands of different types of photography require unique skill sets like capturing wildlife, sports, industrial, advertising, fashion, travel, performing arts, portraits, etc. Each one has its own charm and pull and so it’s a question of what’s your pull. I suppose in a way it is also a mixture of luck and definitely destiny that determines your sphere of activity. Starting with dance photography in the 1960s, more photo shoot opportunities came my way. For instance in 1972, I had to shoot big blow up pictures of dancers (Charu Mathur, Sonal Mansingh and Uma Sharma) for the Asia exhibition in Pragati Maidan earning many a laurel. This was followed by interesting and challenging work, culminating in earning recognition for my work which spans over five decades now. Your association with Dr. Sunil Kothari and various other projects ( in particular to Kuchipudi art form). Since the time I knew dance historian, scholar and critic Dr. Sunil Kothari, I have been associated in various projects starting with an illustrated book on all aspects of Kathak called KATHAK: Indian Classical Dance Art. 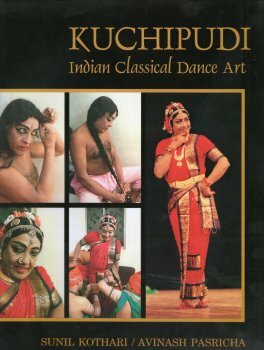 Then followed books on ODISSI and KUCHIPUDI dance forms. The projects were very special as it can be easily seen from the well researched and illustrated content. I have also co-authored quite a few books with other authors and gained a unique and insightful exposure of the art form, the artists and the seat of the art form at times. With regard to your question about working on the dance form Kuchipudi, I must say it was a very lovely experience shooting in the Kuchipudi village in particular with its environment and activities. As far as the Kuchipudi artists are concerned, I liked portraying Swapnasundari when she was fresh, charming and pleasant. Probably, I was the one who first approached her for doing the portraits and I remember the challenges faced since she was on the heavier side for a dancer and it required a careful selection of right angles. But I should say that the photos would capture her abhinaya in full glory which was really very good. It is a challenge with capturing dance in the sense that unless one uses a very high end photoshop utility it is very difficult to make a dancer look more pleasant since photos basically cannot lie. 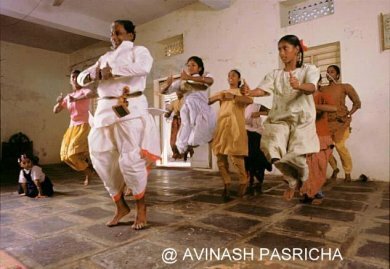 It is in this regard I find that most of the Indian dancers are not very conscious or worry about maintaining their body which is their instrument you see, unlike the Western ballet artists who cannot be a ballet dancers if they are not in right shape for it. Thus, they are seen always in good shape which unfortunately cannot be said so for most of the Indian dancers. Though I should add that in ballet there is not much scope for facial expression and it is more to do with body rather than with the face, while the Indian dancers combine both body movements and abhinaya with poise, posture, movement and of course not to forget the costume skills which makes a whole lot of difference and an enchanting experience in itself to capture. There were often times when I would look at the dancers who come out of the green room after removing the makeup / costumes and I end up asking the question “who are you?” though I would have taken photos of them just prior to that! At the outset it is difficult to figure out how to answer such a question, since it differs from person to person. There are a whole lot of challenges to be faced during the journey and you simply can’t take things casually. Especially when you have a reputation to keep up, one needs to work harder. Looking at the pictures that you have taken, say after a gap of six months or so, and when you observe critically, you may think, “Oh my God, why did I shoot that, is it worth keeping and why did I save it in the first place?” and so on. You constantly challenge yourself to bring out the best in you. Moreover, to get the right moment, lighting, angle, depth, etc that goes into producing a classic picture, one needs to be lucky too. To produce a good picture, it does require one to be talented, pursue relentlessly with passion up to a point where all the efforts meet luck, perhaps! Capturing dance is good both in B & W and color but when it comes to music, B & W pictures look better than in color. Music pictures of mine with the old B & W stands out all the time. For example, my famous picture of M.S. Subbulakshmi and that of Bhimsen Joshi are well received even now. Currently, I don’t capture pictures in B & W obviously since the camera shoots in color, so one might as well keep shooting in colour and then probably change it to B & W if required with very little effort. You see, that is also one of the major problems with digital photography. One tends to shoot too much and then you don’t put enough effort to select by working as hard as one would in the dark room in the past. This is a serious limitation and one needs to do lot more thinking and working with various digital utilities to produce a good picture irrespective of the fact whether it was captured in colour or B & W.
Each has its own challenges, I guess. You see that photography in photo journalism requires thinking before you actually either compose the picture or choose the angle to show exactly as to why that picture should be used in a magazine or wherever. In that scenario, pictures are basically used to add to the words or do away with the words if the picture itself is so good. In the case of dance photography, it is more of capturing the moment than anything else. Even when you have dancers come to the studio and they are the subjects for your photography and most often it is their portfolio that you are making, you do the best you can. In my experience, it is seen that often times the better dancers don’t do all that well in the studio because generally it is bereft of music, audience and no real pursuit of dance as seen on the stage which is altogether very different. On the other hand, I found that on the stage it is always much better to capture the moments though you may often miss it due to the swift moments or the inattention / casual approach of the person in charge of lighting, not providing the correct lighting that you require. In studio, you get the sharper pictures, you have the lighting under your control but you have no control over what kind of emotion the dancer is going to show. They are often limited in the studio. So the challenges are quite unique and different in both the instances. What has happened in the last decade or so is that more than 90% of photographers use digital camera which is a paradigm shift from the usage of films one used to produce the pictures. One critical aspect of digital work is that one probably thinks less and shoots more as against the earlier dictum of thinking a lot before clicking since it involved cost – for both film and processing. Thus, it was quite natural to think and shoot as against the current tendency of mindless shooting. The second aspect is you don’t think a lot technically too in the sense about lighting and exposure when using digital camera as much as one would in the film / processing times since now most of the cameras are on auto focus / exposure mode. That probably explains why we have much less thinking and too much clicking, thereby the judgments become a bit poorer. In addition to that the very special problem with capturing performing art is that most digital cameras, unless they are very highly expensive ones, have this split second time lag between the click and recording. So often one misses the peak moment and particularly in dance if you don’t click at the peak moment you won’t get the right moment and end up getting splits taken after the peak moment. So you have to anticipate what could be the peak moment and click just a wee bit before that so you get to capture it. Your observation of the performer is to be much more concentrated as to when / how to click and so there is a very big challenge in hand. It is very much imperative to adjust to think differently with working on the digital camera. One can observe that when it comes to digital photography generally one is keener on just recording events and not as much attentive / working to churn out creative pictures. Since digital photography is here to stay, to continue producing creative pictures one has to begin to anticipate, think and shoot accordingly. I have had many exhibitions organized presenting my photos and also based on the invitations, I do share my experiences, knowledge with discerning students through seminars, workshops teaching photography. Recently, there was a 40 picture Dance/Music Photographs Exhibition curated for the Taxila Education Society, Patna, in October 2013 which went off quite well in their cultural festival, and now they are taking it around their DPS schools in Patna, Coimbatore, Pune and Ludhiana. With my concentration on digital photography since 2006, the challenges of film /lab work and printing are absent. On the contrary, now it requires spending more time on the computer editing almost every day with regard to what to keep, save or delete. There is the arduous task related to archiving, indexing even the digital clicks, leave alone the photography that I have done on film and colour transparencies since beginning. It is a herculean task in hand to preserve, archive, index all the photographs! All these years, I have had my share of fulfilling moments as a dance photographer. It gave me various opportunities to be part of several publications, audio-video presentations, and exhibitions to showcase the dance form through lens. I enjoyed the process of the work which itself is a reward in a way, to be able to enjoy the process without being too judgmental with the outcome. I won the first prize of Rs. 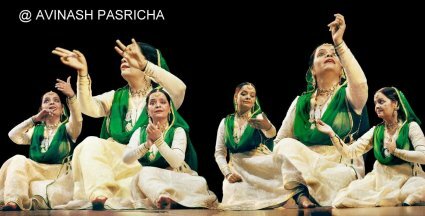 30,000 in an all India photo competition (Professional category) in contest titled “Made for each other” sponsored by ITC for a photograph showing a pakhawaj with hands in motion and a dancer’s feet with ghungroos in motion. 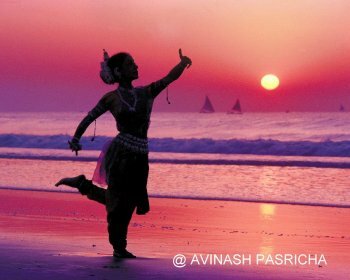 I was bestowed Lifetime achievement Award in Photography by Indian Dance Theatre in 1998. 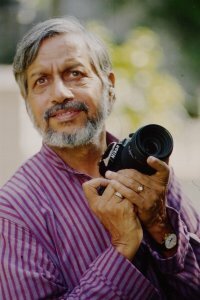 In March 2004, I was given a Lifetime Achievement Award by the Academy of Visual Media, New Delhi, with an exhibition of my pictures at the Lalitha Kala Akademi. I would say putting the best foot forward for the task in hand, think and do more from the angle of what is the most suited / required for the dancer, who often times doesn’t know what he/she really wants, is very much essential to follow. As a profession, I am afraid dance photography is not a very paying profession when compared to that of a cinema photographer though I must say that it has its fulfilling moments when the great pictures that one can capture as a dance photographer could stand out for a very, very long time. Adhering to a personal regimen of special attentiveness, doing the best and that too from a selfless angle would go a long way in my opinion when it comes to producing good dance pictures consistently with clarity and purpose. To conclude, I would like to add that though I had no interest in Indian classical music and dance per se initially, with the change in my destiny, my journey in the field of dance photography has been quite an enjoyable, fruitful and fulfilling experience. Now the music / dance association continues almost every evening as both my wife and I love going to concerts for which Delhi is a great place to be in, enjoying the art that is being dished out and naturally we feel blessed!